Investors are overwhelmed by data, reports, and traditional sell-side analysis offers few true insights on individual companies. Jefferson uses a unique approach to synthesizing multiple company data items that allow clients to cut through the fog of research, saving them time and effort. 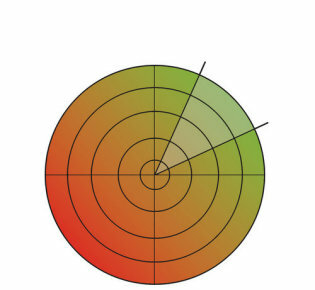 The Jefferson approach analyzes companies through two periscopes: fundamental performance and financial reporting quality. This information is summarized in an easily understood format in our ten-page Financial Sonar™ reports. Based on our Torpedo Alert® rating system, our Financial Sonar™ reports providing a detailed analysis of five super dimensions: Earnings Quality, Cash Flow Quality, Operating Performance, Balance Sheet Quality, and Valuation. Most researchers measure one or the other but not all of these categories, and most traditional Wall Street Analysts tend to be over-optimistic. According to Bloomberg data (March 2011), only 5.1% of sell-side (Wall Street and other analysts) stock recommendations are sells. Consistent and proven techniques used by institutional investors that are seldom available to individual investors and RIAs.